For much of my youth, and the youth of many of my peers, internet cafes were to us what the Parisian cafes were to the writers and artists of the early 20th century. Not that we were thinkers and visionaries, poets and activists, debating, discussing, formulating world changing ideas. No, we were like them in the sense that we were both young, penniless, and hanging out in those spots to socialize with our peers. We would spend hours in these internet cafes, not even playing games, but watching - watching Johnny from across the street play his heart out in DoTA, desperate not to lose, as he gambled most of that week’s allowance on the results of that game. He would curse every time he made a mistake. ****! He would shout at his teammates seating on the computer opposite his when they made a mistake, ******! It didn’t make for the most wholesome of environments, but it did create an atmosphere of excitement. Here is a guy, for whom the stakes in this game were real. And we, the spectators, would be enthralled to see what happens next. Every time he made a play was made we would scream in delight. Every time he died, we’d be devastated. We were hooked. Internet cafes or computer shops or kompyuteran as we call them here in the Philippines, are a cheap form of entertainment for many of the kids, where I’m from. They’re not exactly as fancy as what you would see in Korea or Japan; depending on the area, the shop could be large and air conditioned, with leather gaming seats and Alienware headphones or it could be a small makeshift café, with plastic chairs and outdated computers that may or may not smell like… ugh, nevermind. They would usually be filled with a variety of people, from grandmas trying to send an email, to university kids trying to do some research, but mostly it was filled with people like us - students, who just came from class (or in the case of some kids – cut class) and is crowding the café to watch people play games. Thinking about it now, we were an annoyance to many of the other patrons there, as we would hang out in these cafés without even using a computer, just watching other people play DoTA or Counter-Strike. But what they are, are the center of gaming culture where I’m from. It wasn’t the most wholesome of environments, surely, but for me and many other kids, it was our introduction to the world of gaming. Maybe not what got us into it, but certainly what introduced us to gaming culture – from the games to the lingo – we learned it all from there. Every afternoon after class, we would go there to watch the other kids play DoTA or CS, bit by bit learning strategies and tactics that we would then utilize when we played ourselves. I must admit, I never really got good at any of those games, but most of my friends became extremely exceptional at it. They would make plays that would just astound me as a kid, plays that to me, were like feats of technical ability that I can only describe as magnificent. In short, they got good. 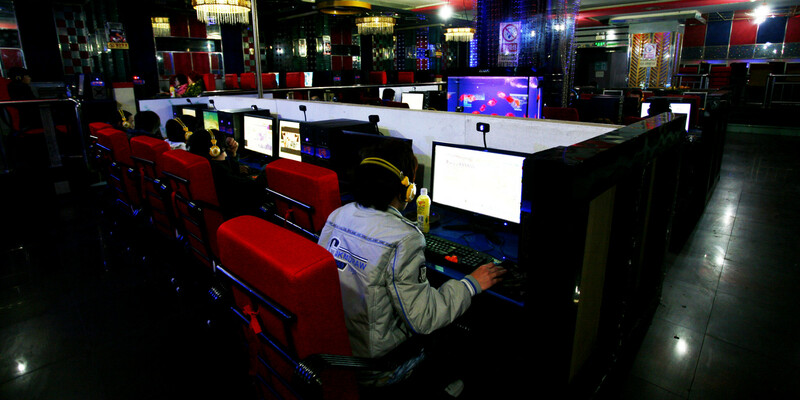 The small bands of kids that hung out in these computer cafes created their own gaming culture of sorts, with their own terminology and traditions, different from what the larger gaming community has. The culture is a smorgasbord of street terminology and middle-class swagger, owing to the mixture of people that hung out in the cafes. In time, the subculture that formed out of these little communities, have overtaken the greater gaming culture in my country and even, with the advent of online gaming, to some extent, internationally. It gives me great joy when I play online and I hear a foreigner use terms (Read: Swear) that I know originated from the computer shops back home. Oh, the joys of modern technology! As the gaming culture becomes more mainstream her, professional gaming teams have started to sprout up. A few of them have actually had some success internationally, although still not at the level of the top teams. Plus, due to the popularity of DoTA, major tournaments featuring some of the world’s top professional gaming teams have been organized locally. Tickets to them usually sell-out in hours, owing to the local love for the game. Similarly, local competitions, including at the collegiate level, are starting to be organized by local enthusiast groups. But even with this adoption of computer shop culture, computer shops remain to be dynamic gathering spots where kids come to hang out. To us, it was more than just a computer shop, it was a place where we could commune, hang out, and talk with buddies we haven’t seen in a couple of days. Correct me if I’m wrong, but what we see here is maybe reminiscent of the playground culture of old. Maybe not the gambling or the cursing, but certainly the tension, the sense of camaraderie or rivalry that is created when a couple of guys get together and play against each other in a test of skill. To us, it was our playground. Even now, when I meet with many of my old friends, we usually meet in the old computer shop. It has become a landmark. And even though we rarely play computer games with each other anymore, everytime we meet in front of that old shop, we would always go in for a couple of minutes, and watch as a new generation of gamers are born. I just realized that I barely actually mentioned what country I’m talking about here. You guys figure got it? It’s... dun dun dun... the Philippines! What’re Internet Cafes like in your country? Tell us below.